If you want to have a more confident leadership presence, improve your ability to handle conflict, make better decisions, be a more confident speaker and become a better listener – start focusing on your breathing. 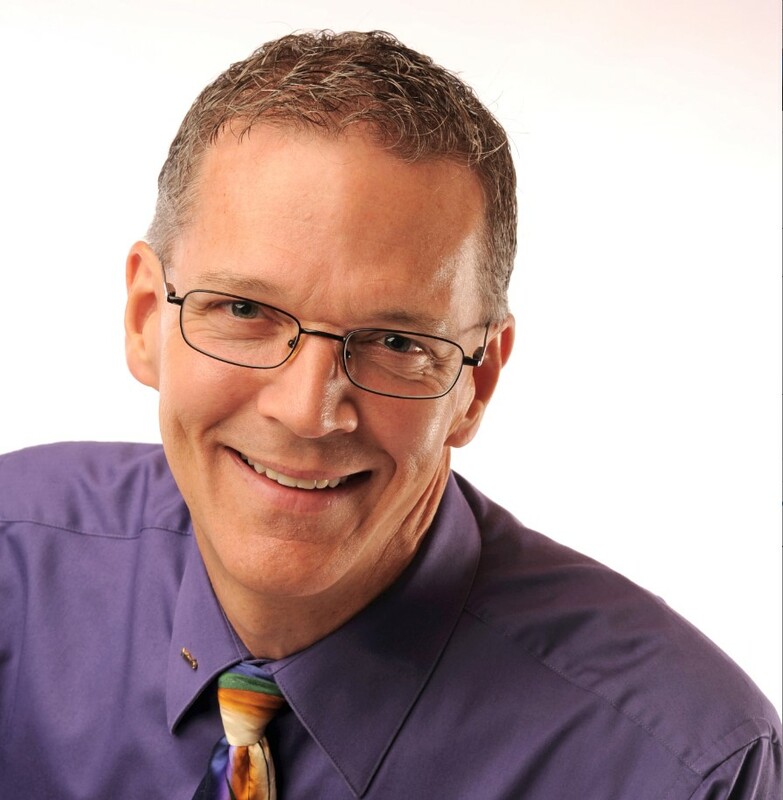 About my Guest: Jim Smith, PCC, The Executive Happiness Coach®, is a global executive coach, author, speaker, and change strategist. Jim’s passion is to create a Happier world and workplace, one Leader at a time. Jim has coached leaders from 30 countries and six continents to build greater leadership effectiveness and presence. He is a co-founder and past president of ICF Cleveland, and serves as a Mentor coach for two coaching schools in the US and Singapore. Jim lives in a multi-generational compound and dances a little every day; he worships Dark Coffee, Dark Beer, and Dark Chocolate... and deeply believes that Happiness is a Decision, not an Event! Jim, thank you so much for joining us today and really looking forward to hearing more about your topic. So tell me a little bit about the brain science behind the hack that we're going to share with us. The brain science is about creating neural patterns in your brain, which I'm sure you're hearing from a lot of folks when you talk about brain hacks. Your brain is your body and your body is your brain. A lot of people think of them as being separate items, but try having your brain do anything while having no access to any of the sensory input from the rest of your body. Touch, taste, smell, sight, sound, right? I mean they're all one in the same. They're very connected. What you think shows up in things that happen in your body and what you do with your body flows back and affects what happens with your brain. So that is the neuroscience part of what I'm going to be sharing with your listeners. It's about recognizing that you can actually affect your brain by first working with your body and what you do in there then can affect the way your brain approaches a situation or how your brain is feeling, so to speak. Okay. Well tell me a little bit more about that. What is the hack that we can use behind this brain science that the brain is the body and the body is the brain. They're all interconnected. The hack that I had mentioned to you was breath. The use of breath on purpose. We're always breathing. How often do you think about how you're breathing? One of the things that I predict is that anyone who's listening to this, as soon as I mentioned breathing probably turned their attention for just a moment to their own breath, and in that moment something shifted. For many people, it might be just that their breasts got a little bit deeper or they slowed it down just a little bit simply because in that moment they were paying attention to it, and anything that’s watched gets changed. How can focusing on breathing help us become better leaders or leading ourselves better? First, let me offer some context for why breath is important. Every emotion that you experience shows up in the body in multiple ways. It might be energetically, our emotions affect our perspiration, our heart rate, they affect how our body moves. You know, some emotions make us smaller, some causes us to contract and pull away. Some emotions move us to go forward and emotions also affect our respiration or our breath. When you are feeling anxious, for instance, your breast tends to get very high in your throat and you breathe more rapidly. When you're excited, the same kind of thing happens when you're very relaxed. Your breath flow, when you are sad, when you are happy, you have different breath patterns. Sometimes it's shallow, sometimes it's deep. All right, so that's what happens when you feel an emotion. The reason I called breathing on purpose, a great leadership hack is because if you want to really focus on having a more valid confident leadership presence, you need to be able to manage your emotions. You need to look ahead and determine how do I need to show up in this space? How do I need to be on stage or what emotion do I need to be in or what emotion do I need to infect the room with for this meeting I'm about to be in? Having control over your breathing can help you shift into that emotion and just on a very high level. The simplest example I can give is to notice your breath right now and allow your breath to just drop deeper in your body breathing until you can feel your breath reaching your deep belly and notice how when you breathe deeply, your voice dropped so you come across as more authority. Your center of gravity shifts to the middle of your body so that you actually appeared in front of other people as being more centered. You create the emotion of calm or confidence. You tend to slow down. You're speaking when you're paying attention to your breath and breathing deeply and that lends more credibility to your speaking as well, and the very fact that your calm puts you in a place where you are more capable of making a better decision or at least a more calculated decision where you will be a better listener when you are more grounded, so there's a connection to leadership, so with noticing our breath as leaders, obviously we're in situations where we have to be able to handle conflict or maybe surprises and so when we do notice that our breathing. Let's say when we get excited and we can feel that breath high up, what can we do from a breathing perspective to get ourselves into that state that you just talked about where we're more centered and focused? Yeah, that's a great question and that really is what the hack is about. In most cases, we are not walking around feeling very calm and then suddenly wanting to be in anxiety or stress. It's usually the opposite, right? We find ourselves worried about something that's coming up. We want to slow down and really be present for a difficult conversation or we're going on stage to do a talk. Our heart is racing and racing and our palms are sweating in most situations. What we're trying to do, what we really want to do with breath is to slow ourselves down and bring ourselves to be more present and more calm, so it's all about simply slowing down the breath and breathing more deeply into the body while also grounding our feet, which is something else that will support a more grounded leadership presence. Does that make sense? It does. So just tactical question here. If I'm wanting to slow down my breathing, is it breathing through the nose? Is it breathing through the mouth? Does it matter at all? Any attention to the breath usually slows it down. At least in the moment. A lot of data tell us that breathing through the nose is going to have a more powerful effect. Anyone who is familiar with yoga or the yoga breath, which are you breathing, are, knows that it is a powerful breathing in and out through the nose. That very much calms the body and brings the energy down. What we know from brain science is that we've also got some physicality going on here. When you breathe in through your nose, you are pulling in outside air, which is generally cooler than your body temperature. You're pulling in outside air, across the Amygdala, your emotional center in your brain, which is located just above your sinus cavities. In the center of your brain. The amygdala swells with blood and engorges itself as emotions become more intense and as emotions decrease in intensity, where calm is the center of your emotional place the amygdala cools down and discourses that blood, so when you breathe in cool air through your nose, very much on purpose, you add to the physical cooling of the Amygdala and so that also contributes to your feeling – and there is the brain science. Thank you. I know that you work with a lot of executives in coaching - can you share an example of an executive who has used this hack and how they've used it? I guess I can give you many examples, so let's just focus on a couple. I was working with a client who came into coaching because the board of his company wanted him to create for himself and his office, much more of an outside presence. You have an introvert, very much active and beloved inside the organization, but the board wanted him to be more of the face of the organization, so they came to them and the feedback they gave him was, you need to be more presidential. He sought me out. He says, what's that? Use My language, right? He uses different language. What the hell does that mean be more presidential and you know, when we dug in, what we found out was he was going to be expected to be doing on camera interviews to be the first person who talked to the organization onstage at public events and this is a guy who absolutely freaked out at the thought that he might have to be on stage somewhere, let alone when he actually got on stage and he would fumble over his words. People wrote him scripts and he would hang onto the script like a life raft and just deliver it in a very wooden fashion because his heart was literally in his throat. Same thing happened on camera. He was just a horrible interview, so he was an extreme example in one of our very first sessions. I watched him just telling me what was coming up and I could see him getting all uptight just at the thought of just telling me the story of what he had to do and I asked him to stand up and I said, where are you breathing? Like when you breathe, where's that breath going? I could see what was happening. I was trying to help him notice it. He says, I don't know. He literally had no awareness of himself below his chin. So long story short, by the end of that session, I actually had him laying on the floor of his office with his hands on his tummy, working with trying to raise and lower his stomach. Using his breath to pull that breath down into his body. He actually started that – he would lay in bed as he was falling asleep and he would practice breathing, he would be breathing on purpose. Now, just learning how to breathe, didn't suddenly make a great speaker. There were many, many other skills we had to build here, but that was the most fundamental because that became his go-to practice. When he was about to go on stage or when he was in the green room ready to go on for an interview, he always came back to that piece which was slow down my breathing, put my hands on my stomach, you know, just slow myself down, slow my brain down, slow my blood racing through my head down, and it took him a couple of years, but he has become quite a spokesmodel for his company and he continually credits that original coaching with helping him learn how to master himself as a tool. Right. The body is a tool. Wow. That's a great example. In public speaking, I think that's the number one fear people have. Right? Like they say, people would rather be in the casket than delivering a eulogy. Yeah, exactly. Wow. I hadn't heard that one. That's pretty good. So how about personally yourself? How do you use this hack? Breathing on purpose yourself? Can you give us some examples of how you've used it, how it's helped you? I find that breathing really calms my mind. One of the unique features of a breath is that it only exists right now. You can't accumulate future breaths and you can't save up past breaths, but when you focus on this breath, you are present. You are right now and most stress that we experience is manufactured by obsessing over things we've done in the past or worrying about things in the future that don't exist yet. So being in the moment is one of the most powerful ways to destress. And as a coach it's where I need to be in order to do really good coaching. So breathing on purpose for at least a minute or two is something that I do prior to any coaching I have. Even if I'm running a little late, I would rather show up on a video chat 30 seconds late than show up on time, but out of oxygen. I use this a lot for myself as a calming element before going on stage. A few years ago I was speaking at a Disrupt HR conference and Disrupt HR is a movement. It's kind of a Ted Talk format, where you have 20 slides and they automatically advance every 15 seconds. So it's a five minute talk. You have to have it down pat, like you have to be rehearsed to the second because the slides will advance no matter what you do. I remember I was about halfway through the program and it got closer and closer to my set and I could see how people were struggling with this format, you know, I found myself going, oh my God, this can be a disaster. I can't do this. I haven’t rehearsed enough. I should have more material. And literally the guy before me was talking, I took my own pulse and I think my ten second pulse, who was like 28, I mean I was, I was like at 90 percent of my maximum heart rate and I was doing this all with obsessing in my head. I'm like, God, I can't go on stage like this. I'm going to explode. So I just shut my eyes and just started breathing. And at first I'm telling you I could not breathe below my throat. My heart was pounding so hard, I couldn't even get in there. And I kept doing it and I kept doing it and it took me several minutes. But because I've practiced this, I was able to slow down and slow it down, and I went onstage and I was so calm. I watched the video afterwards and I was like, oh, I nailed it, Jill. And I know that if I hadn't been conscious of myself and I had gone on in that overexcited obsessive stressed out state, I would have totally bombed that talk. But as it was, I nailed it. I mean like literally the last slide clicked off and I said my last word and I give a lot of the credit to the fact that I was able to find my center before I went onstage. That is a great example. Great Story. So how long does it take and did it take to do this because it sounds like you can change fairly quickly using breath. You can teach your body and your brain to do that, to get to that place is not something you can do overnight. Remember I told you that story just a few minutes ago about a client who literally worked on it. He claims nearly every night during those two years that became his habit for how he went to bed, was to focus on his breath and he would do it at other times of day and so on, and it takes deliberate practice over an extended time to change any habit and certainly something as fundamental as how you're breathing. I've been practicing breathing on purpose as a way to center now for probably a decade. Really doing it with great attention on a regular basis to the point where I can literally control my emotional state and thus my thinking through half a dozen breaths and I can get there. Boom, I'm there. For someone who hasn't practiced yet - when you're in a place of stress and you don't know how to get to calm - that's not the time to start the practice. As with any habit, what you have to do is you have to find ways to practice this new thing regularly over time, and I'm sure you're hearing this from other people in your series, when you talk about hacking the brain, if you want to change a pattern in your brain, you have to do that new thing a thousand times before your brain goes, oh yeah, I know where I'm going. This is familiar. No problem, but up until you hit a couple hundred or a thousand repetitions of whatever that new thing is, your body wants to go back to the old way it did it, which is the pattern you have now. So it takes practice - Practice with a capital p, so for those that are listening would like to give one thing that they can do immediately afterwards- so it's not just great information, but something that they can put into practice right away - to start really getting better at using breath and breathing and purpose. What would you recommend that they do right away? Well, because we're breathing anyway, a new breathing habit is fairly easy to integrate because it's not like you have to clear time on your schedule for breathing today like you do yoga or something like that. From my experience watching other people, I've found that one of the best ways for people to build expertise in Breathing on Purpose very quickly is to attach to something that they do multiple times every day anyway and then simply add this. So here's a couple of examples of things that I have seen clients do that has really helped them accelerate this. I had a client who made this her practice. Every time she went through a door, she would take a Breath on Purpose. So wish you would come into the building in the morning, coming into the office, anytime she was going into a meeting, as she put her hand on the door handle, she would pause, take a breath, feel her shoulders drop, feel her breath drop into her belly, and then she would just proceed. I've had other clients who've attached to things like answering their phone every time the phone rings. I mean you've got two seconds between rings. Yeah. And if. And if it rings a third time, no one's going to die, right? Right. So the phone starts ringing, that's time to take a breath, drop into their body, sit back and then answer the phone. So they don't have to create anything new, they just have to make it a habit that's attached to a phone call. And what they're doing is they're very under the radar, retraining their body to find calm and center very quickly. So those are two recommendations that I make. Just attach it to something you do everyday. It could be when you're washing the dishes, it could be when you're brushing your teeth. So twice a day you ground your feet, focus on your breath for just that moment. Whatever works for you. Thank you Jim so much. This is really helpful. I think Breathing on Purpose is important. I've used this type of approach with some of those that I work with as well and personally have used breathing to get myself in the right state, so I appreciate you sharing the brain science behind that and how we can start putting that into practice right away. We look forward to hearing from you for another podcast as well because I know that you do a lot of work around this, so anything else you wanted to share? Just a reminder that being in a calm, centered place is also an awesome energy from which to be a better listener, a not just a speaker, so there's a, a bonus that when you are more centered yourself, you give more space to other people - and that's what leadership should be doing. Listening. Okay. Thank you Jim. Very much. So, to recap, if you want to have a more confident leadership presence, improve your ability to handle conflict, make better decisions, be a more confident speaker and become a better listener – start focusing on your breathing. Breathing on Purpose is a simple hack that you can use to center yourself. It takes practice but focus on attaching it to something you do already, like before you enter a meeting, before you answer the phone or when your doing any routine tasks will help to make this a powerful habit. Over time, you will be able to quickly get yourself in the best state to handle whatever situation you are going to face. We are breathing all the time anyway, we might as well Breathe on Purpose. We take neuroscience and social science and make it practical for you so you can apply these hacks/tips to improve your leadership, how you lead others and/or how you can lead your organization more effectively. We all have a brain, and we can help you use that knowledge to make you a better leader!